These sweet and delicious oatmeal muffins are the perfect choice for a healthy snack or breakfast. Pour the mixture in a bowl and add the oatmeal, nuts and seeds. Don’t blend them. Add 50 to 100ml of water, the mixture should be a thick batter but still be able to be poured. Pour the mixture in muffin moulds. Take the muffins out of the moulds and let them cool down at room temperature. 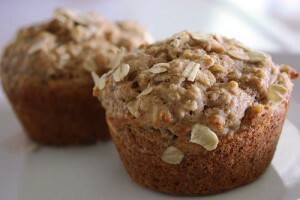 You can keep the muffins in the fridge for up to 3 days or freeze them (for up to a month). Upgrade Your life! By choosing foods & thoughts that nourish Your Body & Mind.